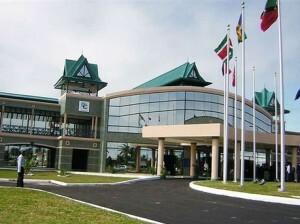 CARICOM Secretariat, Turkeyen, Greater Georgetown, Guyana - The Caribbean Community (CARICOM) is deeply concerned by the recent developments in Ukraine and calls on all parties involved, to act with self-restraint and responsibility in order to reduce tensions and avoid destabilization in that region. The Community supports the people of Ukraine in their efforts to settle their differences peacefully, and calls for the respect of Ukraine’s sovereignty and territorial integrity. In this regard, the Community also calls for the use of international mediation and/or negotiations, to address security and human rights concerns in Ukraine, under the auspices of the United Nations. The Caribbean Community will continue to monitor developments within Ukraine and hopes for peace and calm as political and economic stability are restored within that country.